eToro is a social trading platform based in Cyprus. The company has revolutionised the online trading industry by introducing innovative ways for traders to capitalise from the financial markets. eToro is a multi-asset platform which offers CFD and non CFD products. 76% of retail investor accounts lose money when trading CFDs with this provider. You should consider whether you can afford to take the high risk of losing your money. eToro is known to be the world’s leading social trading network. The platform has played a big part in the global fintech revolution, since being established over a decade ago. Here we provide a full review of their innovative services. First established in 2007 by three entrepreneurs, hungry to disrupt the trading industry and make trading more accessible to anyone, catering for the many rather than the few. That same year, eToro also launched Visual FX trading platform. It was aimed at making learning to trade both simple and fun. The platform, described as cutting edge allowed anyone to trade financial assets online, anywhere. eToro then brought us the world’s first social trading platform, OpenBook. It featured the useful CopyTrader feature, enabling new traders to gain confidence and grow skills by copying already successful traders. In the following years, eToro introduced their mobile app, stocks, the “new” eToro (this combined WebTrader’s online trading capabilities with OpenBook’s social trading features, rolling the best features into one platform). CopyPortfolio’s were then introduced, before adding cryptocurrencies in 2017; in 2018 eToro launched a US cryptocurrency trading platform. It is licensed in 32 states, including Washington, Georgia and Mississippi, eToro US currently has 13 tradable assets. eToro is regulated by the FCA, ASIC, and also CySEC. There is also negative balance protection available. The company is well-known having been established over ten years ago, which adds an element of trust. Overall eToro is a regulated and safe company, with their longstanding history, users’ assets are very likely to be safe on eToro. There is a Market hours and Fees page on the eToro website that provides information about any fees involved. The page gives users detailed information concerning market hours, spreads and overnight fees. A customer service centre is available on the eToro website. There is a ticket system in place and you can track the progress of your ticket there as well. Users can also search in the knowledge base provided where they can find answers to frequently asked questions. There are separate entries to the centre for visitors and existing members. The customer service team are available 24/5, making eToro easy to communicate with on any working day. eToro has excelled in providing simple trading tools for beginners, while still providing all of the tools that an experienced trader would require as well. There is a choice of useful educational resources and a free demo account to simplify learning to trade with a risk-free option for new traders. In addition to this eToro offer a wide range of tools for experienced and professional traders, there are also education resources relevant to experienced traders. The brokerage provides short-term options suitable for daytraders as well as long term options suitable for investors. The trading instruments available vary from low to high risk, suiting all users’ preferences to risk-taking. By trading with eToro you do get the bonus of experiencing social trading and from none other than the first trading platform to offer it. eToro has built up a variety of successful traders for users to copy the strategies of and gain trading knowledge from. eToro provides a social newsfeed and investor program, in addition to the cutting-edge CopyTrader system With this, users can copy traders of their choice. Traders can win awards for becoming popular investors, by delivering consistent returns with a low-risk score; this could be a great chance for experienced traders to earn rewards. There is a range of courses and trading tools available on the eToro platform, such as charts and pro charts. Every financial instrument on eToro has its’ own chart, these tools are used to tack and analyse the history and performance of the instrument. The platform makes learning to trade simple and fun, while still providing users with everything they need to know in order to become an educated trader or investor. eToro provides a large variety of stocks to choose from, including popular stocks such as Apple, Google, and Facebook. The platform also offers the option of buying fractional shares. The eToro website states “on eToro you are able to invest as little as $50 in a $1000sock”. eToro offers commodities, meaning users can choose to have a more traditional trading experience. Trading commodities has been a trading practice for thousands of years. Unlike most other trading options, commodities provide the uniqueness of having real-world physical assets; such as energy sources and precious metals. The most popular commodities on eToro are Gold, Natural gas and Oil. On This means that there is no need to purchase the underlying asset in order to trade it, giving traders the ability to trade against the movement of share prices, while removing the need to use a stockbroker. CFD’s also allowed “sell” positions and leveraged trades and can be a good tool from making a profit when markets are not looking good. Popular currencies on eToro include EUR/USD, USD/JPY, EUR/GBP. To invest in , you need to “buy” a (long), non-leveraged position, meaning users would be investing in the underlying asset. The ETF is then purchased in the users’ name; extra functions using CFD trading are also offered by eToro. ETF’s can help investors save money, they have many advantages, such as low turnover and broad diversification but it costs less. Indices are also traded as CFD’s on eToro, this is because they aren’t financial assets that can be directly invested in. These are viewed as less volatile than traditional stocks because they contain multiple different assets. A variety of indices are listed on the index’s of every major stock market around the world, showing the popularity of this particular trading market. eToro also has a wide choice of indices. Dow Jones is a price-weighted index that is popular all over the world, this is probably due to it being one of the most well-known stocks in the world, as well as it including stocks of the largest companies in the US. The movement of Nasdaq can give a good idea of current performance and investors’ attitudes toward certain stocks. Nasdaq is known for having a large number of technology stocks on offer, although it does offer other stocks too. Nasdaq is a market capitalisation index containing all the stocks that are offered on the Nasdaq stock exchange. When traders buy cryptocurrencies on eToro, they will be investing in the underlying asset; eToro will purchase the crypto and hold it on the users’ behalf. Cryptocurrency trades on eToro are unleveraged. It should be noted that buying and selling underlying assets are unregulated, therefore have no investor protection. eToro does, however, offer the choice of “selling” (short) positions with the cryptocurrencies CFD’s option. The most popular cryptocurrencies on the eToro platform are, Bitcoin (BTC), Litecoin (LTC), and Ethereum (ETH). 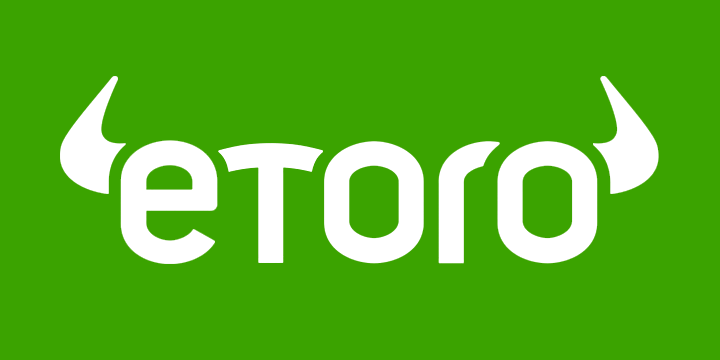 You can find all cryptocurrencies eToro offer on the website. As can be seen in the screenshot above, the initial sign-up form only requires a full name, username, email, and password as well as phone number. Alternatively, users can sign up using Facebook or Google instead of completing the form. Once this process is complete, which shouldn’t take longer than a minute or two; new users are then directed into their eToro account instantly. To fully open an account, users must complete their profile situated in the top corner of the page. Once the “complete profile” tab is clicked, users are asked to provide further details in order to carry out the verification process. You will need I.D such as a passport or driving license for this part, again it shouldn’t take longer than a few minutes to complete. Taking the findings above into consideration eToro has both pros and cons, but in this case, the pros definitely appear to outweigh the cons. An account on eToro is really simple to set up and the platform itself is beginner-friendly, informative, and enjoyable to use. There is also a variety of cutting-edge tools available for more experienced traders and investors. An account on eToro is really simple to set up, and the platform itself is, beginner-friendly, informative, and enjoyable to use. There are plenty of cutting edge tools available for more experienced traders and investors. eToro also provides a top-quality social trading experience for traders interested in using CopyTrading tools, helping anyone learn to trade. Sign up to eToro now or head to the website for more information.